Tatuaje is made in extremely limited quantities in order to maintain its ultra-high level of quality and consistency, making this one of the rarest cigars on the market. Earn up to 202 Points Points. Tatuaje is a full-bodied Nicaraguan puro created by Pete Johnson and master blender Pepin Garcia who was Cuba’s most respected roller when he left the Island. All the tobacco used in the Tatuaje Miami blend is 1st Generation Cuban seed grown in Nicaragua and then rolled by master torcedors in the My Father Miami Factory, under the watchful eye of Garcia family. 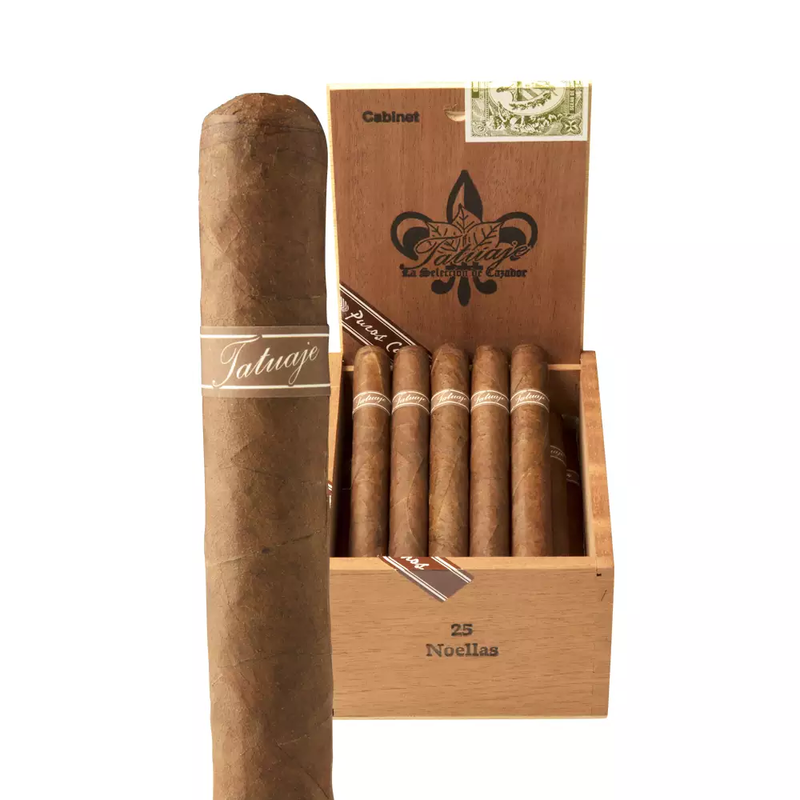 Rolled in Miami, Florida by top class Cuban rollers hand selected by Pepin, Tatuaje has complex flavors of earth and coffee highlighted by a cedar undertone and accompanied by a long creamy finish.